If you are seeking a beautiful medium to large sized maple tree, look no further than the Norway maple. This lovely plant is native to Europe and western Asia, and has become naturalized in some areas of North America. In some regions, growing a Norway maple tree can be a problem where it self-seeds and displaces other native vegetation. With good care and careful management, however, this tree can be a good shade or standalone specimen. Learn how to grow Norway maple trees and enjoy their ornamental classic look and ease of care. Maple trees are classics of the landscape genre. Norway maple (Acer platanoides) has made its own place in the culture and is a common shade tree that resembles sugar maples. The plant has several seasons of interest and retains a compact crown and dense growth. Norway maple has high tolerance to pollution and is adaptable to many soils including clay, sand or acidic conditions. 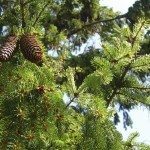 This elegant tree is a useful addition to the landscape, provided some care is taken to minimize seedlings, which are rampant the following season. The Norway maple was introduced by John Bartram to Philadelphia in 1756. It quickly became a popular shade tree due to its adaptability and attractive form. 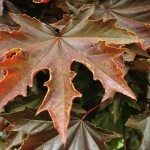 However, in some areas of the United States, it has begun to replace native populations of maples and may be invasive from the northeastern U.S. south to Tennessee and Virginia. It is also a plant of concern in the Pacific Northwest. Trees can grow up to 90 feet in height and have nicely rounded, compact crowns. Young trees have smooth bark, which becomes black and furrowed with age. The fall color is bright gold but one of the types of Norway maple trees, Crimson King, develops deep reddish fall tones. One of the important items of Norway maple tree info is regarding its root system. Roots can become a hazard due to the huge number of surface roots the plant produces. Acer platanoides is hardy to United States Department of Agriculture zones 4 to 7. This remarkably adaptable tree performs well in either full sun or partial shade. While it prefers well drained, moist soil, it is drought tolerant for short periods of time, although some leaf drop may occur. Growing a Norway maple tree may require some training when the tree is young to help it develop a good strong central leader and stout scaffold. Plants transplant easily with little effect on the root system or foliage. Norway maple has good resistance to storm and ice damage and has a vigorous growth rate. These trees, if carefully managed, can quickly become attractive focal points of the shade garden. One of the highlights of Norway maple tree care is managing the samaras, or seed fruits. These winged fruits can catch the wind and navigate far away from the parent tree. They germinate readily and can become an issue in rural settings or near native woods. Pruning at the end of the season, just before the samaras turn brown, can prevent wild seedlings from becoming a pest. 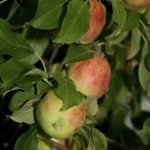 Other management is limited to supplemental watering in hot summers, once a year fertilizing with a good balanced food in early spring, and removing any damaged or diseased wood. These trees have few of the classic maple issues and are quite fine if left alone most of the time. While this adds to their popularity, caution should be observed in some regions where the plant is considered invasive.